President Donald Trump has challenged all who cherish freedom to work together to confront the forces that threaten to undermine our democratic values, erase the bonds of culture, faith, and the tradition that make us who we are. Our President has no higher priority than the safety and security of the American people. President Trump and !st Lady Melania Trump visited France last week. They visited the US Embassy for a Meet & Greet with staff and participated in France’s Bastille Day festivities. President Trump took some quality time to recognize 3 American Veterans of D-Day who took back the beaches and towns of Normandy 73 years ago. 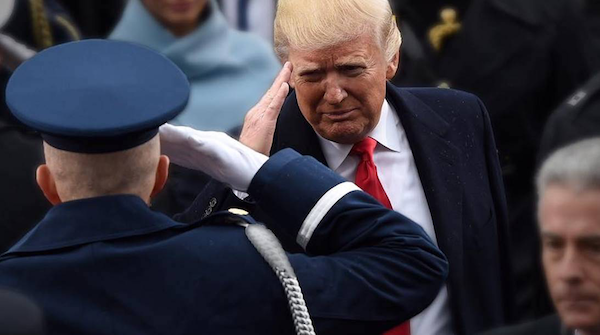 President Trump is the 1st United States President to participate in the ceremonies since Y 1989. 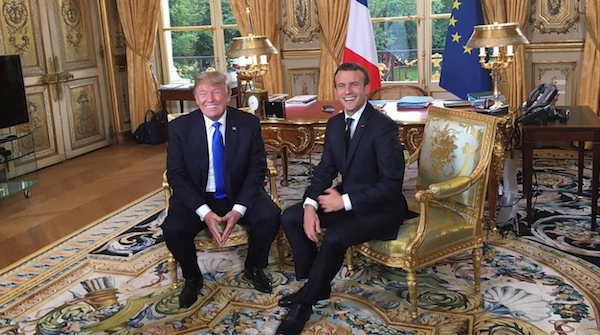 To commemorate the 100th Anni of the entry of American troops onto French soil during World War I, the people of France have designated the United States as this year’s National Guest of Honor. President Trump is focused on ending the horrific practice of human trafficking, and the House of Representatives passed 3 bills this week that are important steps forward. 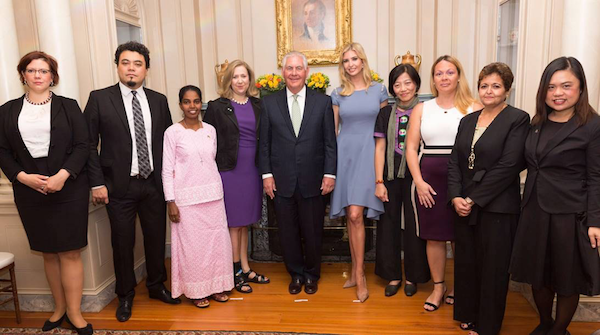 Since taking office, he and his administration have met with courageous survivors, non-profit groups, and faith leaders who are devoting tremendous energy to raising awareness about human trafficking. He is hopeful that the Senate will take up and pass these 3 bills as soon as possible and looks forward to continuing work with Congress on this important issue. The Iraqi Security Forces supported by the United States and the Global Coalition, liberated the City of Mosul from its long nightmare under the rule of ISIS. President Trump congratulated Prime Minister Haider al-Abadi, the Iraqi Security Forces, and all Iraqis for their victory over terrorists who are the enemies of all civilized people. Americans mourn the thousands of Iraqis brutally killed by ISIS and the millions of Iraqis who suffered at the hands of ISIS. Americans grieve with the Iraqi people for the loss of the heroic soldiers and Peshmerga who gave their lives to restore life to their country, and we honor their sacrifice. 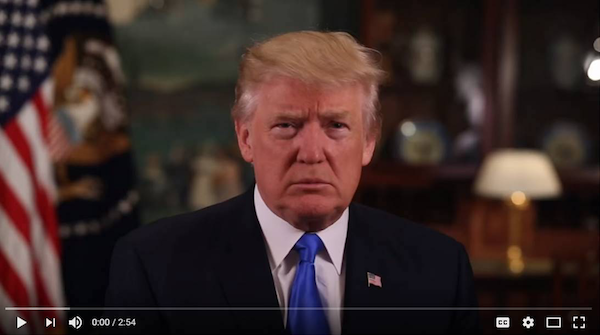 To watch a message directly from the President you can click here or the image below.